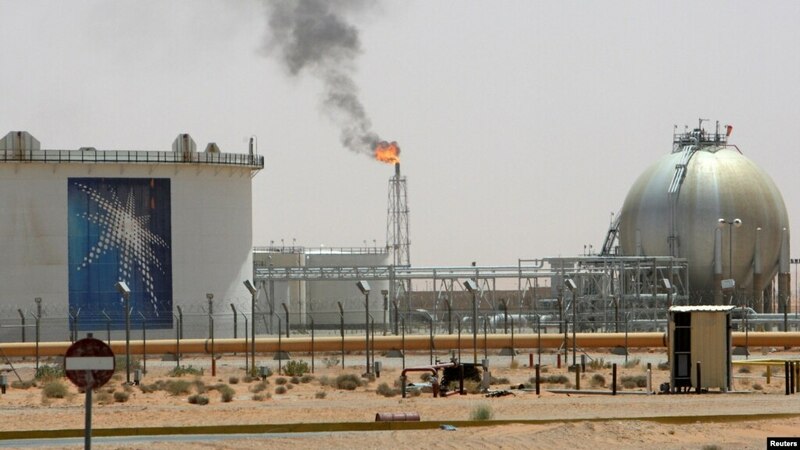 FILE - A gas flame is seen in the desert near the Khurais oilfield, about 160 km (99 miles) from Riyadh, Saudi Arabia, June 23, 2008. Saudi Arabia saw its credit rating downgraded Saturday by Moody’s Investors Service because of the slump in world oil prices. Moody’s noted that Saudi Arabia’s recently announced plans to diversify its economy should stabilize its credit profile and offer a route back to a higher rating. The ratings agency said it was also lowering the credit ratings for Oman and Bahrain. Ratings for other Gulf oil producers were unchanged. However, Moody’s said the outlook for all the economies was negative.